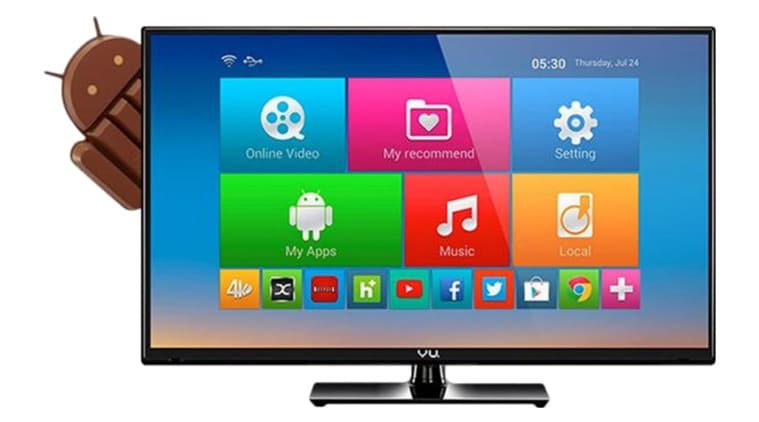 Android is everywhere, Phones, tablets and now even TVs. Every Android user want’s to enjoy the third party apps. Some of the setting needs to be changed to enjoy the apps. Here we will talk on how you can do the same on Android TV. The biggest flexibility of using is installing and uninstalling apps manually as per your needs. A lot of great apps which are developed aren’t available on the Google Play Store because of a lot of reasons, being an open source operating system, android allows us to install apps without even downloading them from the Google Play Store. You will just need the APK file of the app and begin downloading your favorite app, a lot of people do download APK files of premium apps and use them without paying for them, Although we don’t prefer you to do such things, as we feel that paying the developer for the work (efforts he/she/company has put in) is worth the price we pay. When it comes to installing Android apps on Android TV, there is a slight twist. To install Android apps on Android TV you will require a File Manager. Unlike the Android Devices which comes with a File manager pre-installed, the Android TV doesn’t have a File manager in it, so installing apps is quite difficult. ES File Explorer is one such app. Increase Sound Volume Level on Android Devices using ES File Explorer. Hide WhatsApp Images or WhatsApp Videos from Android Phone’s Gallery App. SoundCloud Songs Download on Android – ES Explorer. 1 How to Install Third Party Apps on Android TV? 1.1 Step 1: Enable Install from Unknown Sources in Settings. 1.2 Step 2: Download the APK File using Computer System or Mobile Phone. 1.3 Step 3: Transfer the APK to Android TV using USB Drive. How to Install Third Party Apps on Android TV? Step 1: Enable Install from Unknown Sources in Settings. You can’t directly install an APK without enabling installation from Unknown sources, this is generally disabled to protect users from installing unknown malwares or infected apps. The steps to enable installation from unknown sources is similar to the way we do on Android smartphones. Tap on the checkbox to enable it, after enabling that you will be able to install android APKs which you’ve downloaded using WEB or got it from your friend. We recommend you to be careful while installing an APK directly! Step 2: Download the APK File using Computer System or Mobile Phone. APKMirror is our favorite site to get our hands on the APK’s. We recommend the same to you. Head over to the site and download the APK file you want. For the first time you have to download the ES File Explorer, once that is done, you don’t have to keep on downloading ES File Explorer every time you install an app. After downloading the ES File Explorer, transfer it to Android TV using USB Drive or Portable HDD and click on install. So say you want to download the WhatsApp For Android TV then Download WhatsApp APK for Android TV or if you want to install Facebook APK, then Download Facebook APK for Android TV, visit APKMirror for any app you want to download. Step 3: Transfer the APK to Android TV using USB Drive. Once the file is completely downloaded, copy the file in a USB drive or any other suitable storage device. Or, you can download the app directly in your portable storage device. Connect the storage device on which you’ve downloaded the APKs to your Android TV. Like we installed the ES File Explorer’s APK, you will have to transfer the APK to Android TV using ES File Explorer and click on the APK and the installation process will begin. In case you’ve not enabled ‘Installation from unknown sources’, you will get a popup asking you to enable Unknown sources installation. That’s it, you’ve successfully learned how to install Android APKs on Android TV.